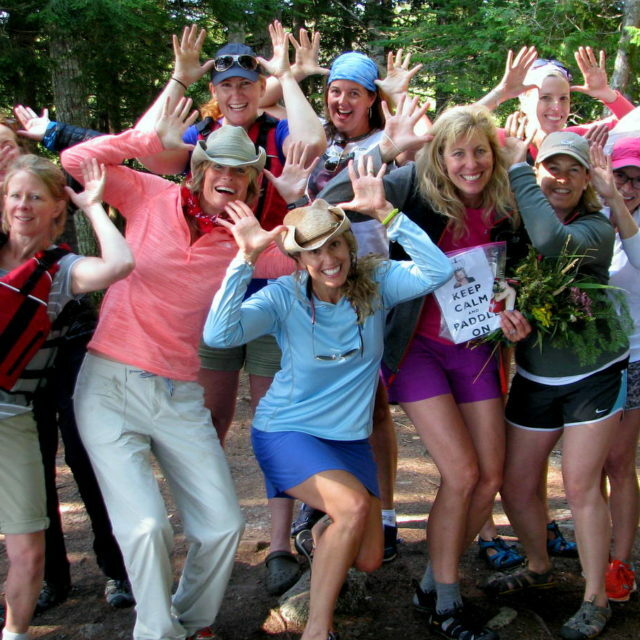 Our Registered Maine guides are friendly, knowledgeable and have the skills and experience to lead trips of various levels from easy family friendly trips to exciting whitewater canoeing adventures. Our goal is to provide you with a safe and enjoyable trip. 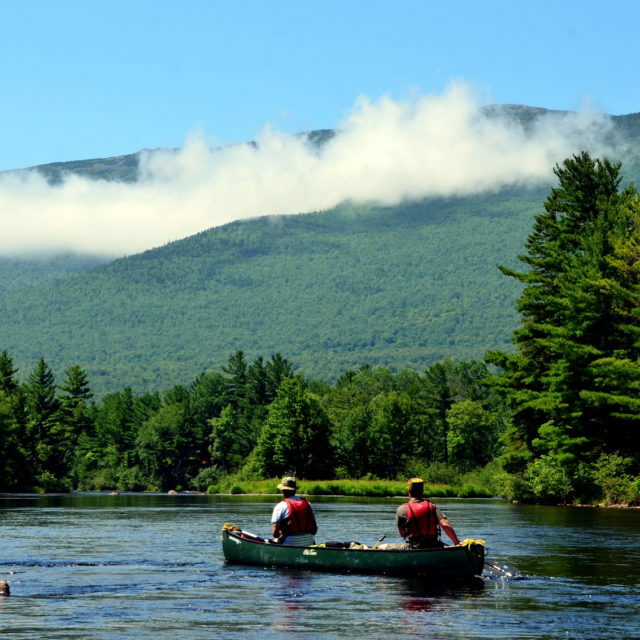 Visit Maine this summer for some of the best wilderness canoeing in North America. 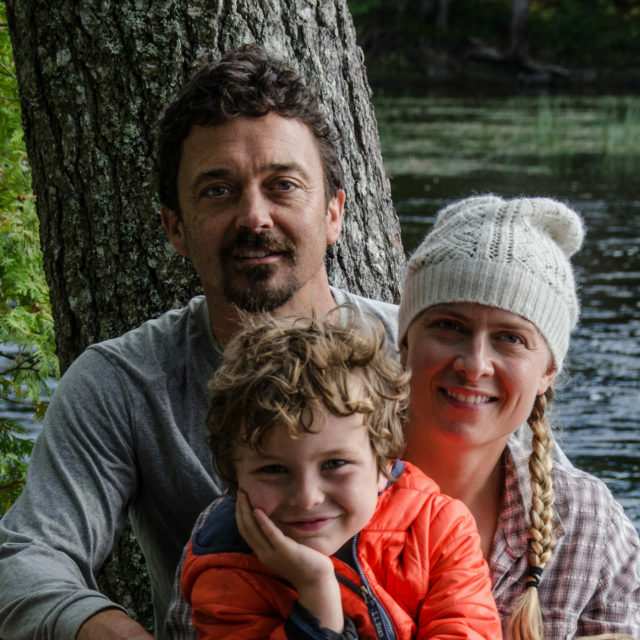 We offer Maine wilderness canoe trips where you can choose from 1-10 days on the St. Croix, Allagash, or Penobscot River, just to name a few. 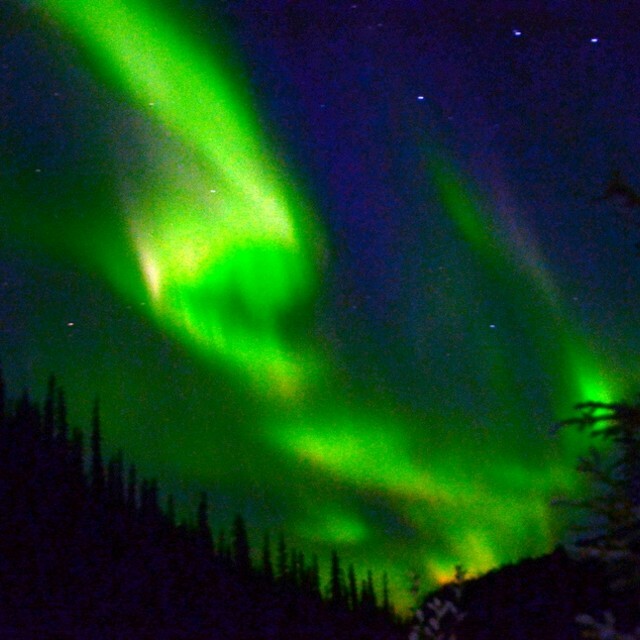 Our best trip for spotting moose! 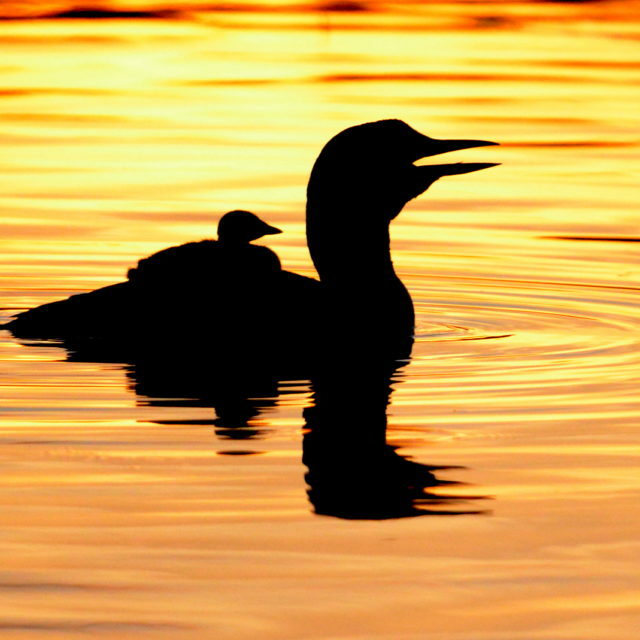 Choose our popular four day trip well suited for all ages and families with younger children. Other options up to 10 days. 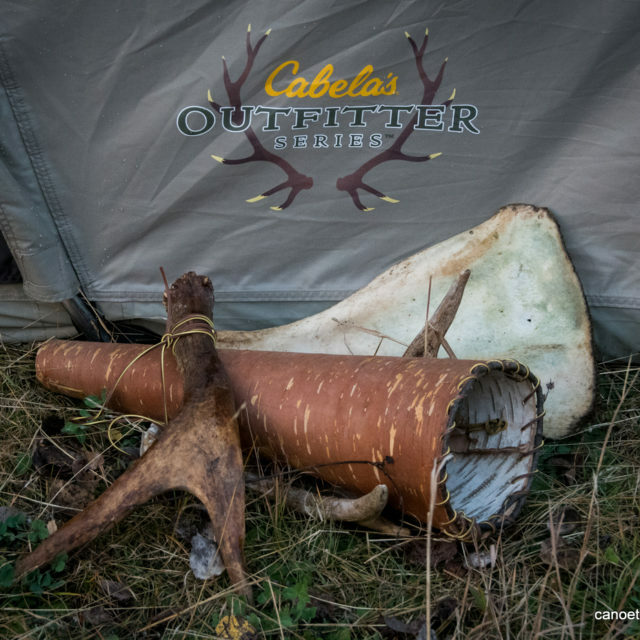 No previous experience is necessary and Canoe the Wild provides all the equipment, meals and trip guide. Most of our trips are geared for the first timer. 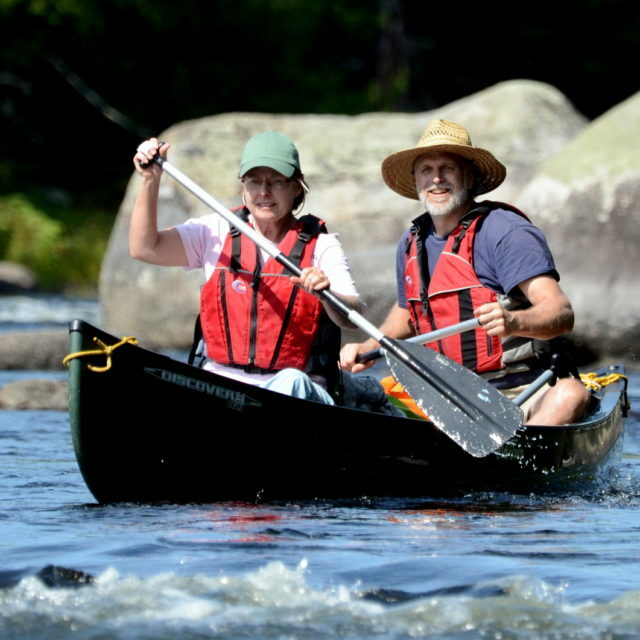 Our Maine guides will bring you up to speed with the basics of canoe handling. Most popular first timer trips include the four day Allagash and St. Croix River, 3-5 days. With miles of quick water, numerous class I rapids, and a couple of class II rapids (optional). The St. Croix is a favorite of the first timer and advanced paddler alike. Fishing for small mouth bass is excellent. Great trip for learning basic paddling and camping skills. View our current schedule of canoe trips. Perhaps you’re one person or a small group wanting to join others on an outing. 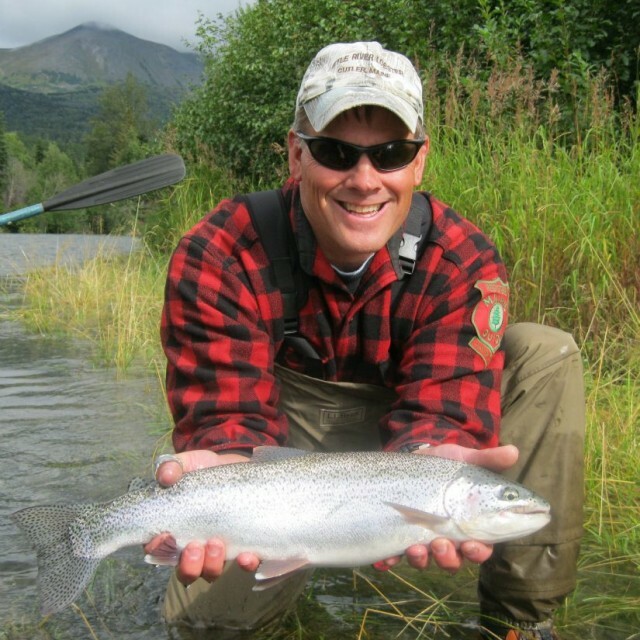 If you don’t see a trip and dates that work for you, contact Dave to plan a custom trip or discuss options. Friends, families, scouts, youth, adult, and corporate groups. Give us a call to discuss your group's objectives, duration and dates that work best for you. We provide experienced guides who have a vast knowledge of canoe routes, take care of pre-trip planning and packing. A world of wilderness adventure awaits you just across the border. Let Canoe the Wild introduce you to our northern neighbor with a trip on one of Canada’s pristine rivers. We offer a variety of canoe trips in Quebec including the Bonaventure, Cascapedia, NE Mistissibi and de Pas Rivers, and the Liard River in the Yukon. 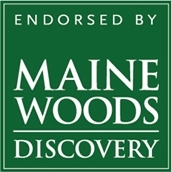 During the Maine moose hunting season, Dave Conley, moose hunting guide and outfitter, offers guided Maine Moose Hunts in prime northern Wildlife Management Districts (WMD) 1,2,3,4,5&6. 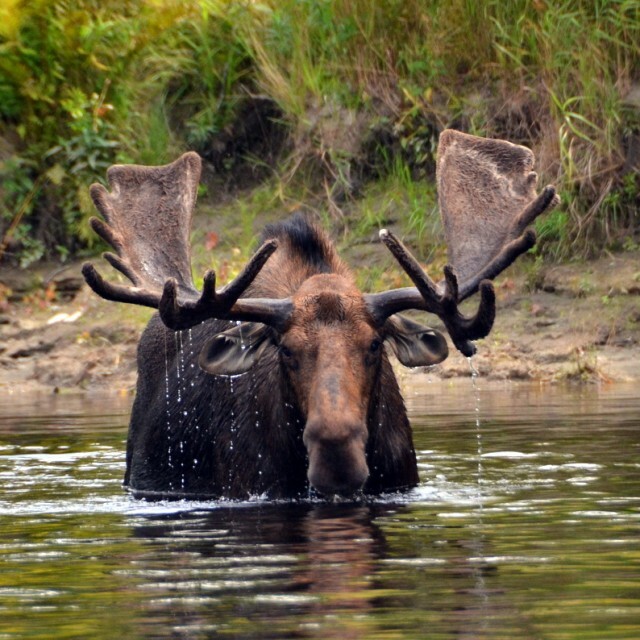 Moose hunting permits are obtained through an auction or the Maine moose lottery with a drawing in June.